UPSC CSE is one of the toughest exams to crack. The whole journey from preparation to the declaration of merit list takes at least 2 years. You may be intelligent, dedicated, driven and hardworking; but the one thing needed to sustain these attributes for a whole year or more is self-discipline. There will be a lot of distractions and ups and downs in your journey of UPSC preparation. It is only self-discipline which will come to your rescue, each and every time. The toppers of every year have consistently recognized the importance of self-discipline. Now, the next important thing after recognizing the importance of self-discipline is to cultivate self-discipline in real life. 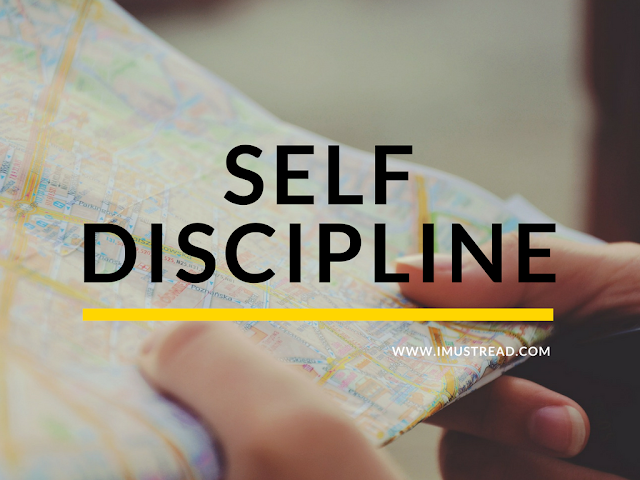 In this article, we will discuss 10 simple steps to cultivate and master the skill of self-discipline. You don't need to wake up as a completely different person. Neither you need to change everything at once. Just pick up a small thing and follow it daily. You should set your target and achieve that target. This will be your small step in becoming a self-disciplined person and you should take this small step right now, after reading this article. It is very important that you pick up a subject which interests you in the starting and builds a habit of building self-discipline around it. Once you have achieved your targets on that subject, you will feel confident and can apply the same to other subjects. It is like developing a model and studying habit and your favorite topic/subject will make it easier for you. Our body spends about 10-25% of its energy in processing and digesting foods. When the diet is rich in fats, junk foods, the body is using more energy in processing food, leaving you lazy and lethargic for the most part of the day. Therefore, it becomes very important that you should consume a healthy and balanced diet so that you always feel active and energetic. Remove the bad eating habits like consuming junk foods, liquor, and smoking. Along with food, exercise is also a cornerstone activity. 30 -60 minutes of exercise will improve the efficiency of 18 hours of your day by 20%. Leaders right from PM Modi to the CEOs of tech giants give a high preference to exercise in their daily life. Most people believe that less sleep will mean more working hours, hence they can work more if they sleep less. But, according to scientific research, the human body needs at least 6-8 hours of sound sleep for optimal performance. If you sleep less than 6 hours, you will feel tiredness and decreased levels of concentration. Same is the case when you sleep more than 8 hours. An important part of self-discipline is knowing what you need to do and then doing it. When you're not used to behaving in a disciplined manner, you will sometimes struggle to come up with your next activity. Start your day with a list of tasks that you need to accomplish. Similarly, make a list of monthly targets and long-term targets. Give yourself rewards when you achieve to do list targets. Awards can be varying deciding on your choice such as watching the latest movie. Similarly, punishments should be taken by you in case you miss the targets. Temptations will always come knocking at you and drive you away from your goal. And, the worst thing is one temptation will lead to next temptation. For example, you may wish that you will study after watching one youtube video, but that video will lead to another video and you will end up wasting your precious time. Avoid such temptations. Manage your time effectively. Identify when your mind is most active and do the tasks which demand more attention at that time. Also, use your traveling time judiciously by reading from various apps and e-books. You must also utilize small time windows here and there. Meditation helps to calm our mind and contemplate on our daily actions. Regular meditation will improve your control of mind and body, thus strengthening self- discipline. Persistence is the key factor which leads to a disciplined mindset. Gaining persistence will help us not give up. Even if we fail, it will help us get back up. And, not only in the preparation of IAS but persistence is a must habit for a successful and happy life.